A low slung easy chair that is perfect for reading in the afternoon or talking to a friend while looking immeasurably stylish. The lower frame is distinguished by its arched front legs. The back legs pierce the rainbow and extend backward to create an unconventional undercarriage. The upper seat samples Windsor chair construction with a continuous arm bow that is joined to the seat with wedged spindles. 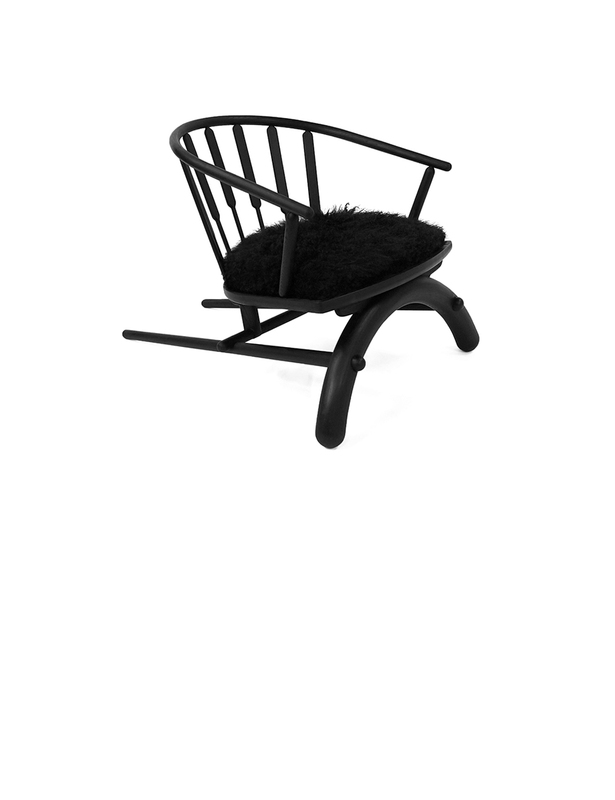 The seat is piled high with a mound of Mongolian sheep wool that invites the sitter to sink into the luxury of the chair. Custom wood finish and upholstery options available.